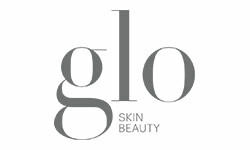 glo minerals and glo therapeutics are now Glo Skin Beauty. The glo minerals and glo therapeutics products you already love are getting a makeover! By bringing the glo professional brands together under one unique identity, Glo Skin Beauty is focusing on what really matters—your favorite formulas. Glo Skin Beauty’s transformation embraces the brand’s comprehensive approach to beauty. Glo Skin Beauty offers everything you need to customize a complete glo skin care and mineral makeup routine. Glo Skin Beauty delivers innovative skin care and nourishing mineral makeup that works synergistically to help you achieve your best skin. Starting with your cleanser and ending with your lipstick, Glo Skin Beauty offers a wide range of skin type-specific formulas that tackle your biggest concerns and allow you to under-go a total transformation. All Glo Skin Beauty products are paraben-free, talc-free, non-comedogenic and gentle enough for even the most sensitive skin types. Glo skin care products combine the best of science and nature to create smoothing, firming and clarifying formulas that encourage a healthy, youthful complexion. Glo Skin Beauty’s triple-milled minerals are infused with antioxidants like vitamin A, vitamin C, vitamin E and green tea extract to help strengthen skin against free radicals and other environmental stressors. From retinol treatments to bold matte lipstick, Glo Skin Beauty has everything you need for flawless skin and a customized, confidence-boosting look. My teenage daughter loves this concealer. It provides great coverage and yet doesn’t break her skin out or look caked on. I have tried so many foundations for decent coverage for my combination skin. I have found mixing two shades works the best (for me it is Porcelain and Naturelle). Applying with a beauty blender after applying Colorscience Brightening Perfector primer works like a charm.